4,251 robberies occurred at financial institutions nationwide in 2016, down from 6,700 in 2008 and less than half of the total in 1992 (9,540). Financial institutions experienced only 65 burglaries in 2016, with credit unions accounting for just 12 of them. Most perpetrators – 60 percent – are caught within a year-and-a-half of committing bank heists. That's an impressive comeback. Granted, one security incident for a branch is one too many, but given the thousands of FDIC-insured banking facilities in the U.S., criminals have plenty of opportunities to strike. Financial institutions are fighting back and in an effective manner. But with much of the banking world in the midst of a transformation, what role will security play for banks moving forward? If you think back to the FI of yesteryear, you might not recognize the modern branches and credit unions of today. Gone are the days when customers handed tellers, perched behind counters, slips detailing their account particulars to make deposits or withdrawals. Of course, traditional interior setups still exist, but open concepts are more common than ever. Why? Because the rise of digital banking has led to a significant shift in consumer demands and the retail experience. From kiosks to tablets to video ATMs (advanced automation), customers have access to their money like never before and open-concept banks foster these interactive capabilities. Online banking is a common channel as well, but as a Federal Reserve report found, 84 percent of banking customers visit their local branch at least occasionally. Having these technologies out in the open and ready to use allows account holders to perform quick transactions and be on their way. Additionally, open concepts appeal to what customers love, like shorter lines and more free flowing walking space. That said, the inherent advantages of open branches also have their potential drawbacks, some of which relate to security. Easy access to terminals and kiosks gives thieves and hackers the opportunity to manipulate machinery or claim to be someone that they're not. Yet even here, on-board technology may help to address some of the challenges that branches face. Innovations inside the branch have made money handling more secure even with more open formats. Cash recycling solutions, for example, help to accelerate the speed at which transactions take place and improve the customer experience. But at the same time, they really amp up security with serial number recognition and safes that are built into the transaction portals, reducing vault buys/sells and thus minimizing cash exposure. The cassette-based LTA-350 from BranchServ takes it a step further with automated audit; again designed to keep cash out of sight. A new security threat that is affecting banks and credit unions in the U.S. more often is called "jackpotting." As reported by ABC News earlier this year, this fraudulent activity – as its name suggests – causes ATMs to dispense money at a rapid clip (up to 40 bills in less than 30 seconds) when thieves use a generic key card to compromise traditional units. 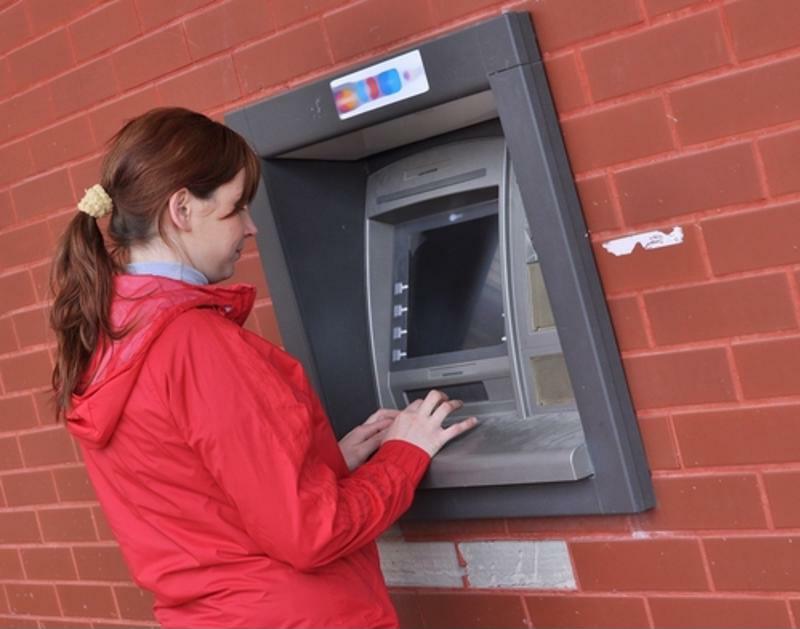 Newer, more modern ATMs provide some protection, as does ATM video and alarm. And manufacturers continue to work diligently to develop other technologies to better protect both financial institutions and consumers. ATMs were the beginning of banks' journey toward digital. The automation era has allowed customers to obtain funds whenever they need it. Branches may have standard operating hours, but drive-ups extend those hours. Lobbies, where kiosks and ATMs are located, are open 'round the clock. It's this after-hours banking access that can lead to theft, as detailed in some of the FBI's more recent banking theft statistics. However, plenty of third-party solutions are available that make lobby and exterior security much more difficult for thieves to be successful. These systems include bullet resistant portals for banks in urban areas – where crime is typically more common – and electronic monitoring. Technology and service partners that can support security for drive-ups, night depositories and the very best in video and alarm are key to ensuring that your branch is able to keep up with service demands and ensure the safety of customers, staff and cash on hand. Let's face facts: Branches and credit unions will never be in the free and clear when it comes to guaranteeing 100 percent impenetrability. But BranchServ gets you closer to that standard with our customized automation, electronic security and physical security solutions. From traditional asset protection to sophisticated integrated video surveillance, BranchServ has the resources to keep your bank's reputation and success fortified for the long-term. Find out more by contacting us today!